Bring home the scarlet speedster with this incredible statue. This statue is based on concept art by Ivan Reis from DC Comics and Chiaroscuro Studios. Made of polystone, this hand painted statue measures about 6 1/5-inches tall. 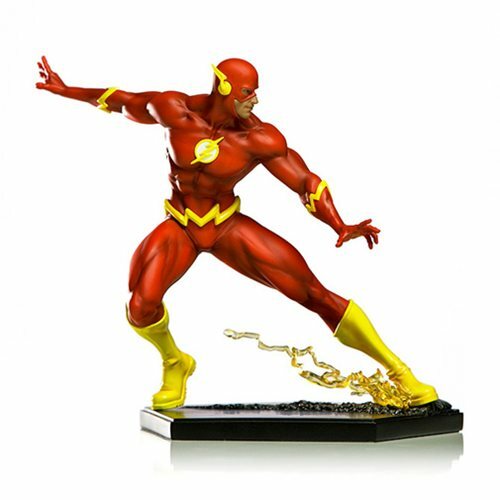 The DC Comics The Flash by Ivan Reis 1:10 Art Scale Statue is a must have for fans of the Flash! Ages 15 and up.